This simple White Bean and Vegetable Soup is a must in winter. Warming, comforting and packed full of vegetables: the perfect soup for this season ! These past few months, soups have become a classic in my house. Butternut squash, pumpkin, carrots, potatoes, spinach, kale… name all the veggies you want, I have used them at least once in a soup at some point ! Soups are definitely amazing when you’re feeling lazy or don’t have a lot of time to cook. 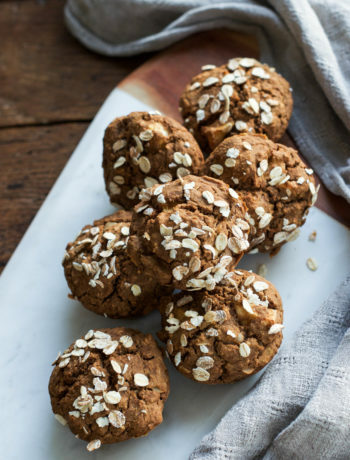 They don’t involve a lot of prep and are usually ready in less than 30 minutes. Soups also make great leftovers : reheat a portion and you have your comforting meal ready in a matter of minutes ! 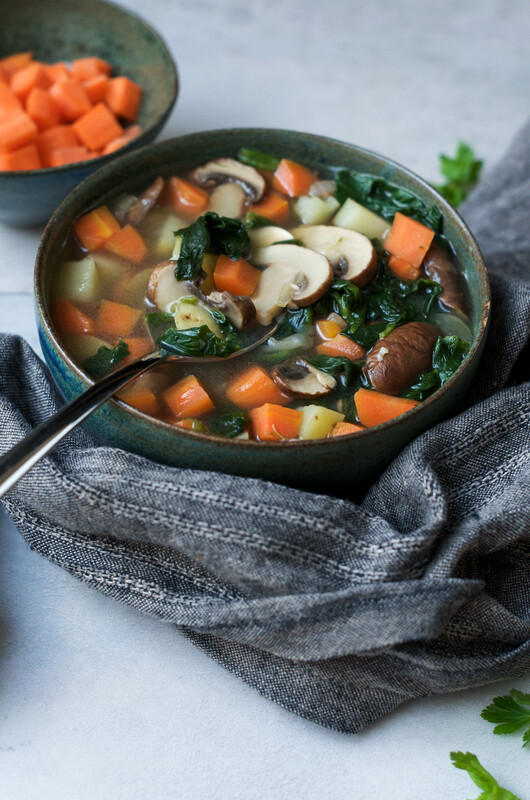 As much as I love creamy soups, I also really enjoy a flavorful broth with chunks of vegetables. So, this time, I decided not to blend it. 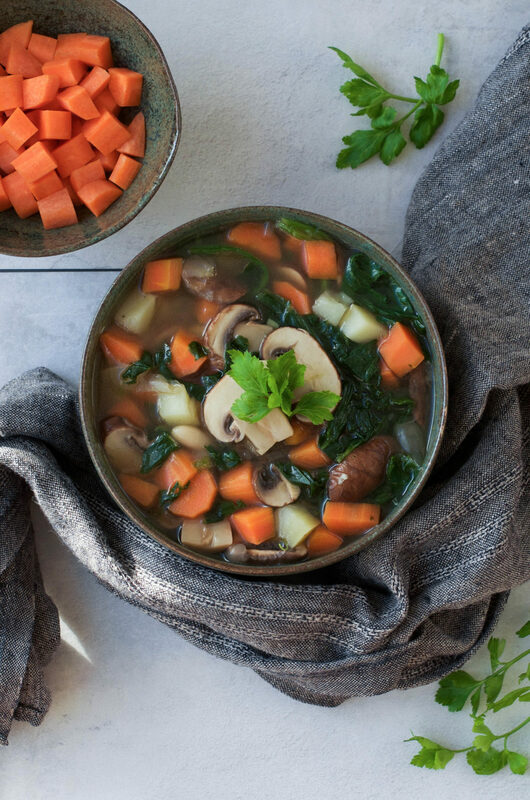 This White Bean and Vegetable Soup is made with simple ingredients like potatoes, carrots, mushrooms, spinach, and white beans. To make it even more flavorful, I added spices like cumin and chili powder. With this kind of soup, you can definitely swap out one veggie for another one that you might have on hand. For example, try kale instead of spinach, or add some chinese cabbage. It’s also a great soup to clean out your fridge and use up vegetables that are about to go bad. This simple White Bean and Vegetable Soup is definitely warming and easy to make, give it a try ! Leftovers should keep for up to 4 days in the fridge. Otherwise you can just freeze them and heat them up for another cold winter day. You can serve this soup as a side dish, or enjoy it as a main dish with a couples slices of fresh bread for example. In a large saucepan, sauté the onion with a couple of tablespoons of water (or oil) for 2 to 3 minutes. Add some more water if needed, so that that the onion doesn't stick or burn. Add cumin, chili powder and black pepper to the saucepan. Stir to combine. Add the diced carrots and potatoes, sauté for a couple of minutes. Then, add the sliced mushrooms, beans, 6 cups of water and bouillon cubes to the saucepan. If your bouillon cubes are unsalted, add salt (to taste) as well. Lower the heat to low-medium and let simmer until the potatoes and carrots are soft. This should take about 12 to 15 minutes. Add the frozen spinach to the soup and let it thaw for 2 to 5 minutes. 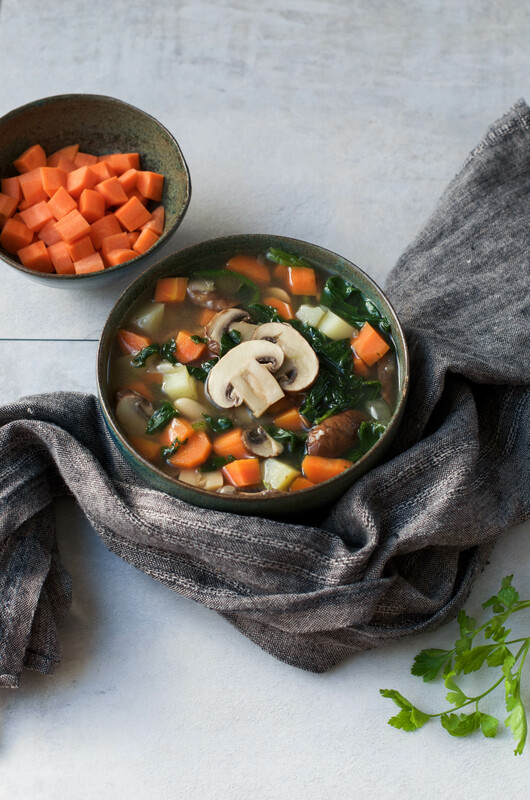 This soup is pretty customizable, feel free to swap out some veggies for others, according to what you have in your fridge !